Manually correlating data between stacks is time consuming, and that data can be incomplete or out-of-date. 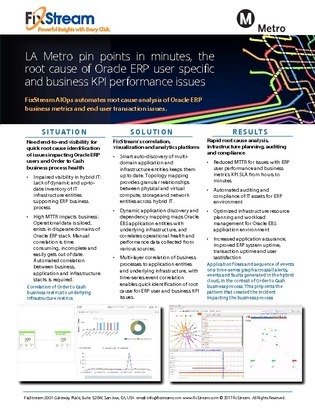 When operational data is being siloed due to a high MTTR, automated correlation tools that connect applications and infrastructure is the most efficient solution. When one company was faced with this scenario, they turned towards a platform that provided an all-inclusive solution to streamlining their infrastructure.